THREE STARS: Writing gear reviews might seem mundane, but - like writing about, well, climbing- it's harder than you think. By Andrew Bisharat. MY LETTER TO GOD: A lifelong climber pens the Big Guy a note wondering: Why do you keep trying to snuff me? Considering all his too-close calls, it seems a fair question. By Eric Sanford. PARADOX IN PARADISE: On a normal day in the tropics of Maui, with its blossoming climbing scene, an alarm warns of an inbound ballistic missile. 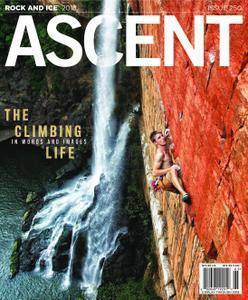 The author thinks about his sons, his life, and a long-ago climb. By Jeff Jackson. 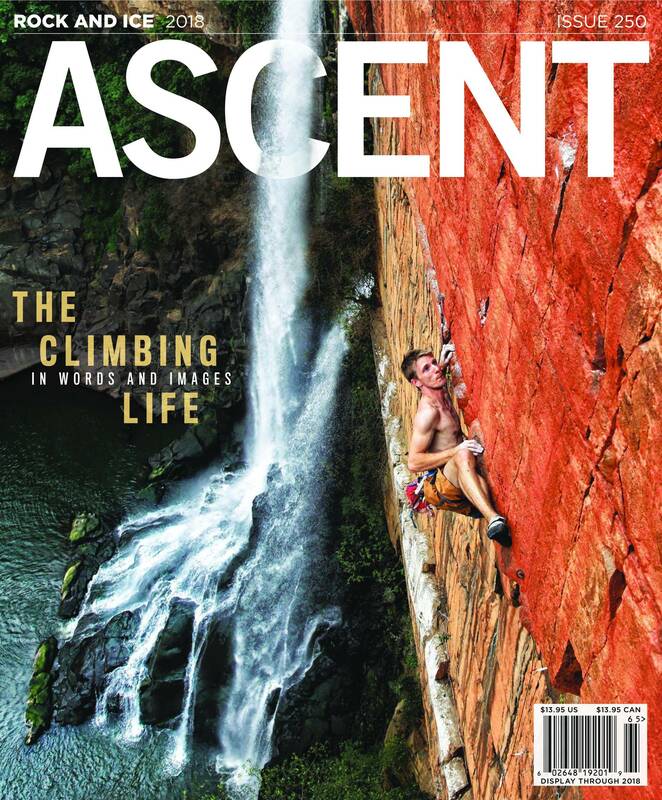 THE ART OF CLIMBING: The history of climbing art hasn't been told, until now. While much has changed about how we view the mountains, the underlying theme of adventure still resonates. By Francis Sanzaro.